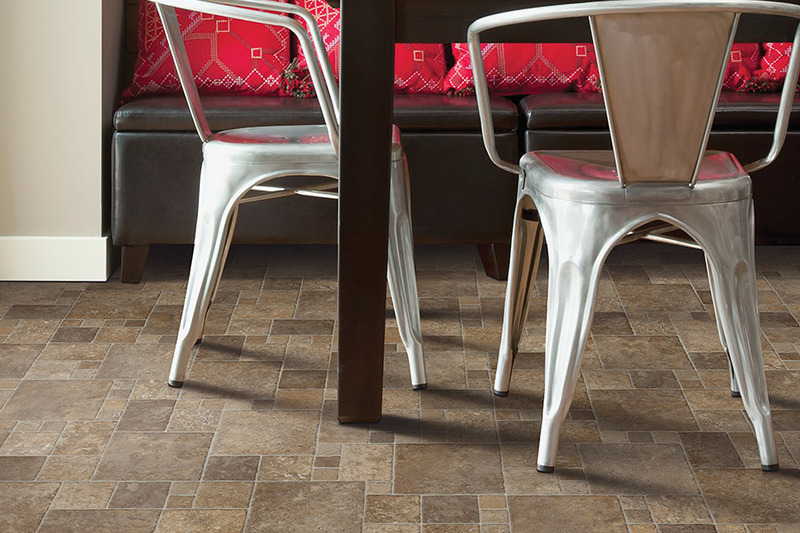 There are lots of good reasons to choose luxury vinyl for your next flooring project. Not only is it a material that mimics many different natural resources and looks beautiful, but it’s also a durable and resilient surface that you might want to experience for yourself. The fact that it can be styled with so many different looks, gives you the option to make it a central theme in any interior designing project. It’s also much more affordable than other floorings, which only adds to its popularity. At just a portion of the cost, you can have a floor that looks like solid hardwood, or even grouted tile.The added incentive is that you won’t have the maintenance schedule that goes along with those materials. There are two main types of luxury vinyl. One is LVT, which is a vinyl tile that takes on the characteristics of actual ceramic and porcelain tile, natural stone and even travertine. For an extra enhancement, you can even grout LVT, so that it looks as much like the real thing as possible. The other is LVP, which is a vinyl plank. LVP takes on the looks, including color and texture, of many different types of domestic and exotic woods. Style and designs can be as varied as you like, creating unique patterns suited just to your own taste. You can also select wide or thin plank sizes, just like the real thing. While LVT and LVP will look almost identical to natural materials, they may be a perfect choice, thanks to the benefits they provide. For instance, they both come with great scratch resistance, thanks to the wear layer. Usually made of urethane or an aluminum oxide, wear and tear are greatly reduced when it is in place. If this flooring becomes damaged, it’s a simple task to make repairs. You simply have the damaged portion taken up and replaced, without replacing the entirety of your floor. If you’ve decided it’s time to get serious about shopping, we invite you to visit our Friendly Floors showroom, located in Port Charlotte, FL. Serving all of Port Charlotte, FL, as well as the surrounding areas, we look forward to serving you as well. Stop by at your convenience to speak to a flooring professional about our complete line of luxury vinyl flooring.